My Ayn Rand phase was when I was aged somewhere between 13 and 14. It was a time when I was quite easily influenced by just about anything. I devoured all of her fiction, from We The Living to Atlas Shrugged, and some non-fiction. What followed were proclamations of love for the author and long discussions with my equally love-struck sister.. "Hank Reeardeen" I would coo to her, mostly because everyone else I knew was busy reading Nancy Drews. "Francisco d'Anconiaa" she would coo right back. Of course we both did come out of the phase. That's one of the few advantages of having an older sister: you get into and out of all kinds of "phases" a lot quicker than people your age. By the time I was 18, every person I knew worshipped Ayn Rand and every girl crushed majorly on Howard Roark. Some books can only be enjoyed at a certain point in your life, like Catcher in the Rye at one age, The Fountainhead, or On the Road at another. They're good books, but most of us tend to grow out of them. I say most of us, because, some of us are too smart to ever want to read Ayn Rand's books to begin with; but since I'm currently all against judging without knowing, I would encourage such people to read the books before 'hating her'. On the other hand, obviously, some of us do manage to turn childhood heroes into lifelong idols. 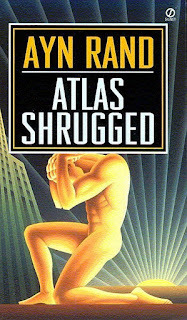 This post is not really intended as a for and against Ayn Rand, debating ground of sorts. I respect your views if you respect, idolize or worship her. This is just what I think of my once oh-so-favourite writer, today, after so many years. Her books are good fiction, but that's about it. She can tell stories, weave you into them, in a way that all she stands for has all the good qualities and all she's against is despicable, cruel and ugly. The shape of John Galt's mouth was pride and he looked as if he were poured out of a soft-lustered metal. Jim Taggart, on the other hand, is conveniently found in the most horrible of states, with an unshaven, sometimes twisted face. At one point, even hope looks ugly on him. Everything is so starkly contrasted, so black and white. That is why you agree with her; because you'd be crazy to vouch for Wesley Mouch or any of the "moochers". The stories are engaging, but for a supposed way of life, there are just too many flaws - like being too extreme or infested with random assumptions. Many of the ideas she presents couldn't have been more correct. What bothers me is the way she stretches her theories to try and fit our whole existence into her very specific opinions and that's where I think the 'philosophy' as such tears apart. That this is how things should happen is just an opinion - you cannot simply dismiss the glaring "It could never happen!" Wanting other people to act, think, be a certain way because you like that particular way can also be excused, but it's ridiculous not to consider that they just might not do any of that. Plus there was the whole thing about someone asking if such people existed and Ayn Rand saying, "If they didn't, this book wouldn't have been published." That had to be the stupidest response. Four people don't a world make. Ultimately, who the hell is she to decide how man should be, isn't that something men would decide for themselves? So. I realize this post has ended up sounding a lot less smart that I would have wished, so I'm going to add a link at the bottom to an absolutely hilarious piece of writing on Rand and hope to redeem myself. Recently, I read a short play by Ayn Rand and completely loved the overwhelming nostalgia it brought in me. 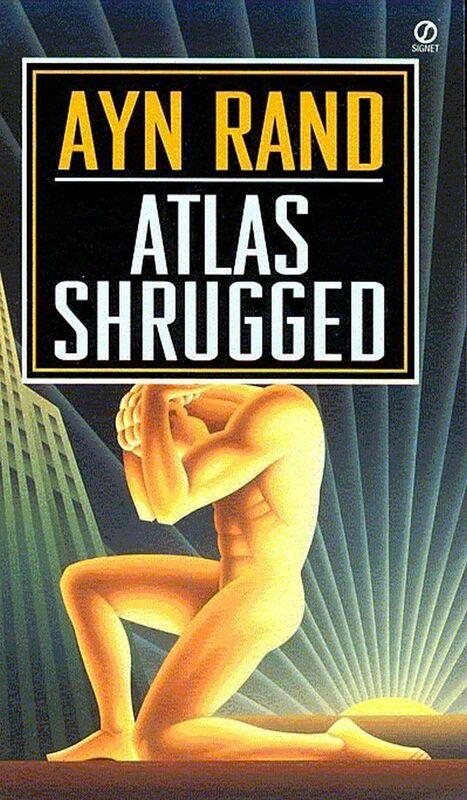 Silly or otherwise, my Ayn Rand phase was one of the most memorable times of my life. P.S. An absolutely hilarious piece of writing on Ayn Rand. 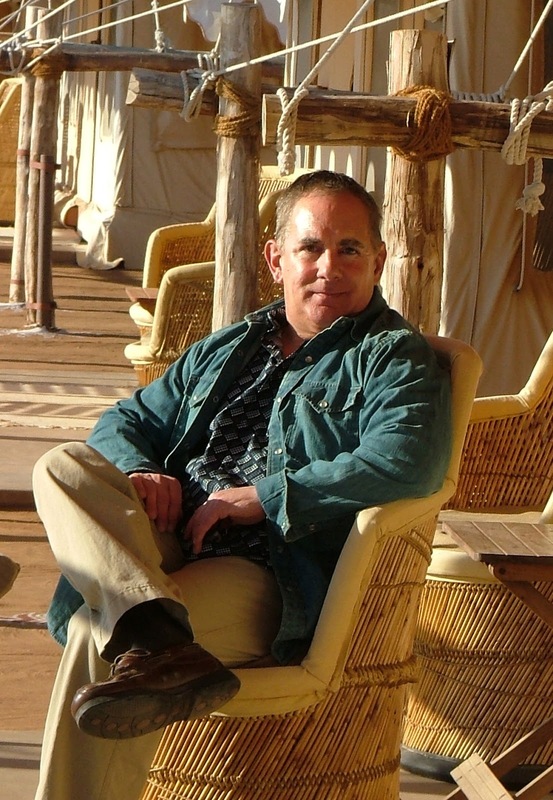 About the author: Best known for his work in mysteries, Hy was one of the original writers for the groundbreaking series, Monk. He worked on the show for all eight seasons, the final two as Co-Executive Producer, and received three Edgar Nominations from the Mystery Writers of America for “Best TV Episode.” In a related project, Hy was Executive Producer and head writer of Little Monk, a series of short films featuring Adrian Monk as a ten-year-old. His latest TV work was as writer and Consulting Producer for White Collar. Hy is also the author of hundreds of short stories and ten books of short whodunits, which have been sold around the world in fourteen languages. Hy’s first full-length comedy/mystery play, Home Exchange, premiered at the Waterfront Playhouse in Key West in May 2012. He recently authored a humor book called Things Your Dog Doesn’t Want You to Know. Visit the author's website right here. 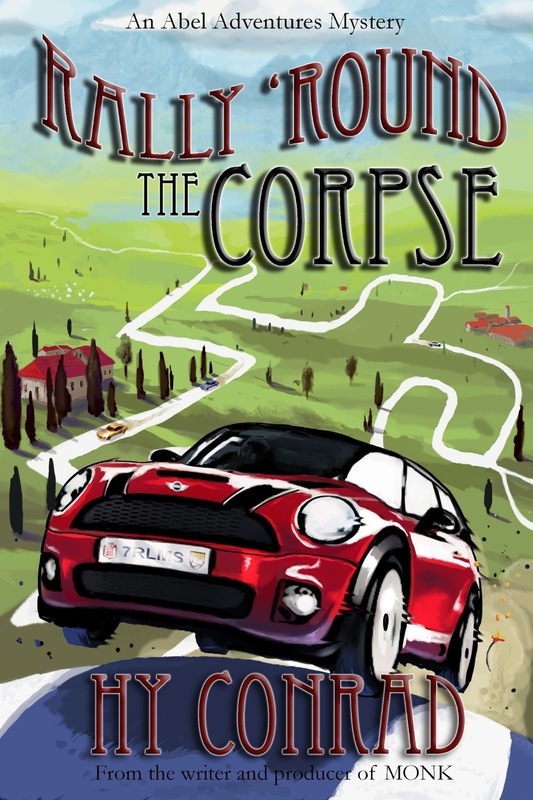 You can read my review of Rally 'Round the Corpse. It's a pretty great book, you can buy it here. And, I hope you read and enjoy this interview as much as I did! Thank you, Hy, for this great interview. Hy: A lot of my early mysteries were created for platforms and electronic devices that no longer exist, including Clue VCR, a popular game back in the mid-80s. When the Internet came around, no one knew what kind of content would be successful. I was asked by Prodigy (an early version of AOL) to write a mystery serial with a different chapter every day and a different mystery every month. The result was “Abel Adventures”, with Tom Abel, a character similar to Amy Abel, who led adventure tours around the world. This idea always stayed with me, even though the original stories have been lost to time – and a few computer crashes. I’m on my way to finishing book two in the series, “If I Die Before the Wake”. I would love to continue the concept. But of course it all depends on the popularity of the first two. 2. Which are your most memorable writing experiences? On the other hand, what is your worst experience as a writer? 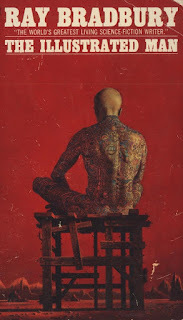 Hy: One of my favorite experiences, writing or not, was my time spent on “Monk”. To be with great, funny writers every day and churning out a hit TV show… There’s nothing better. My least favorite was when a network, which shall remain nameless, hired me to turn one of their teenage sitcoms into a TV movie. Their style was to ignore all my sincere requests for feedback and then suddenly micromanage. “No, that’s not what we wanted. What made you think that?” I quit, the only time I quit a job, and went to work for “White Collar” instead. Later I heard from the writer who took my place. He was put through hell for over a year before it finally got filmed. 3. Do you have any advice for budding writers, any “five things to remember” when writing a mystery? What is the biggest mistake, according to you, that a mystery writer could make? Hy: Okay. Five quick rules. Pay attention to logic. Mystery fans want it to all make sense. Action isn’t as important in a book as it is in a movie, e.g. don’t spend ten pages describing a fight or a car chase. Don’t be afraid of atmosphere. There’s a reason why Swedish mysteries are popular. Give your characters different voices. They shouldn’t all talk like you. As Elmore Leonard said, “Try to leave out the part that readers tend to skip.” How did Cary Grant get off Mount Rushmore at the end of “North by Northwest”? We don’t know and we don’t care. The biggest mistake of new writers is to create a detailed outline before starting. If your story has good bones to begin with, it will tell you where to go next. 4. Having written mysteries for a long time, how do you think the genre has evolved over the years? Hy: I think the best mysteries are a lot better than they used to be, with great characters and great atmosphere. The detectives are darker and the crimes more imaginative and gruesome. With the exception of cozies, it takes itself much more seriously than it used to. On the other hand, the worst mysteries are a lot worse. With the advent of self-publishing and e-publishing, anyone with a murderous thought has a book out there, competing for the same eyeballs and wallets. Remember, a free e-book is not free. You pay for it with wasted hours and annoyance. Check out the blog tour page for more reviews and interviews. I received this book in exchange for an honest review. 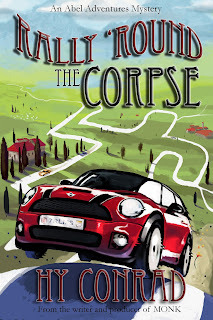 You can view the Rally 'Round the Corpse blog tour schedule right here. Summary: In the series debut, “Rally ‘Round the Corpse,” we meet Amy Abel, two years after the death of her fiancé. My thoughts: The idea of the mystery road rally is as charming as it sounds. Well, until all the murdering, of course. But that's what made me love this book so much. The characters were interesting and the dialogue had me chuckling every two seconds. You hear mysteries described as thrilling, intense, gruesome. Even words like blood curdling are thrown in. But I've never enjoyed reading a suspense novel so much before. This book was pure fun, and that is a word I would rarely pair with the word mystery. Not to mention, the very mystery is great, the plot is brilliantly crafted. It may be because I don't read mysteries very often, but I doubt that was the reason I just couldn't guess what was coming, however hard I tried. The plot twists and red herrings just keep coming. I was on the edge of my seat till the very end, which, by the way, did NOT disappoint. Very few writers could reveal the suspense the way the author has: surprising you so utterly, while still managing to be convincing. A classic mystery fan is sure to love this book. But I do think that people who don't usually read / enjoy reading mysteries should give this one a try - it might just change your opinion of the genre. It is a quick, engaging read, and I can't think of a reason not to read it - grab your copies right here, while I wait for the next book in the series! I never thought I'd call a science fiction book... beautiful. But that was just me being judgmental, because this collection was really just beautiful. I can't think of any other word to describe it. Actually I can, it was very original, every story was unique and every story was more than just 'robots and space and stuff', which someone like the aforementioned judgmental me would have expected. The stories were more about people and how they have become in the future, how they react to situations that seem other-worldly to us: each of the stories was just a short insight into people from the sometimes typical, sometimes entirely new sci-fi-ey scenarios. A story that left a strong impression on me was The Last Night of the World. A couple, like people all over the world, wakes up knowing that the world is going to end that evening, having dreamt it. They are completely sure of it, as is everyone, and with their fates sealed, they live their last day with a calm acceptance that chilled me to the bone. "What would you do if it were your last day on this earth?" - it is a pet question of any of your typical 'fun' surveys. I would never have thought it, but after reading this, I know we would all just live, the way we do. The Rocket Man was my favourite. The story was about an astronaut who goes off into space for three months at a time, only to return to his wife and son for never more than three consecutive days. It was utterly tragic and haunting. The collection started with another great one: The Veldt. It is about a family (mom, dad and two kids) who live in an automated house (called a happy house or something like that). All the descriptions of the fabulous machines that coo and comfort you let you know that the house is about to become very grim very soon. So there I was, reading, sure that something that taught me machines are bad was about to happen, but I could never have thought it could be so... gruesome. It sends a shock through you and a thrill and the writing is still, somehow, beautiful. Being lost in space - there were a few stories about that, as well. They all talked about people reacting to that in their own special and similar ways - giving up or actually looking for that silver lining, some drift off into happy hallucinations and some just go insane. And what a fascinating frame device! 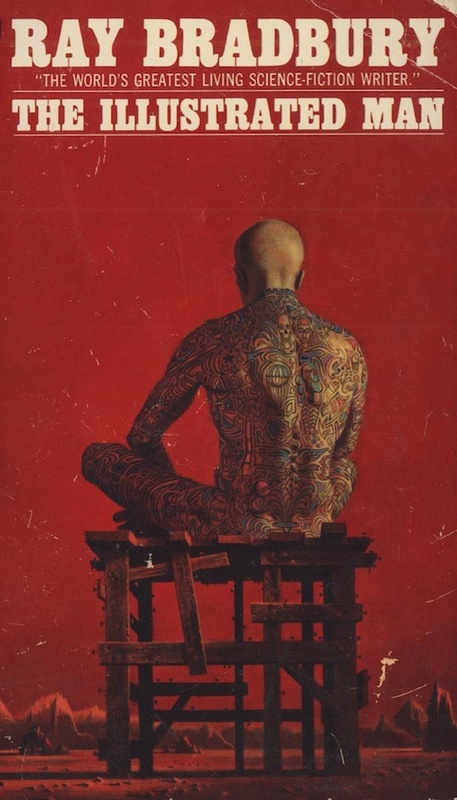 An illustrated man, with eighteen incredibly realistic tattoos on his body, that come alive at night to tell eighteen stories. Wow. I read this book two nights ago and I still haven't been able to get out of my head the thoughts of the world coming to an absolute end, authors and characters coming to life through belief like gods, robots falling in love, superior beings incapable of sin, meeting God and people of the future seeking shelter on other planets. You know how some books leave you with 'no words'? This collection has left me with too many: words, thoughts, haunting recollections and it feels much better that being left speechless. This was quite the perfect start to The 2013 Sci-Fi Experience. I've made it a point not to repeat any books, because then it would just be a big jumble!